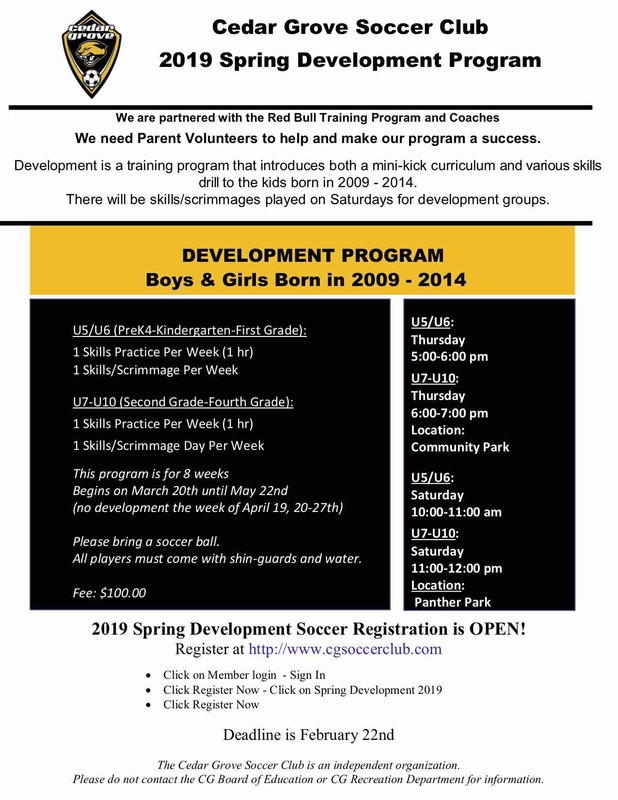 SPRING DEVELOPMENT REGISTRATION IS OPEN! - Games & Practices can by synched with your phone's calendar! As always, we'd love to hear from you regarding any questions, concerns, feedback. You now have two options. Want to provide anonymous feedback? No problem! Fill this out to let us know your thoughts. 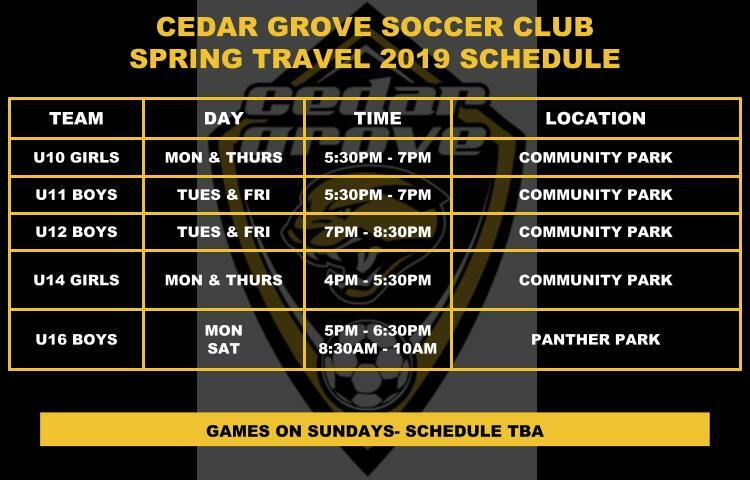 Copyright © 2001 - 2019 Cedar Grove Soccer Club. All Rights Reserved.